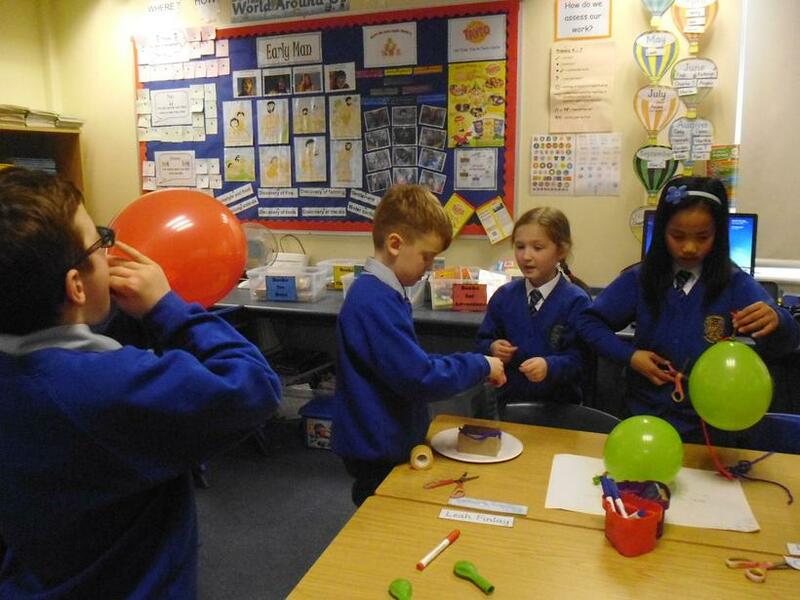 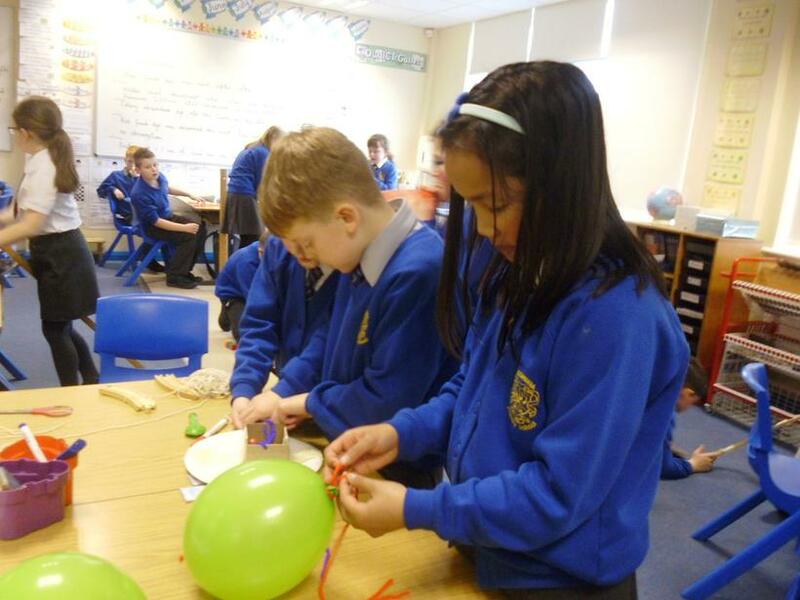 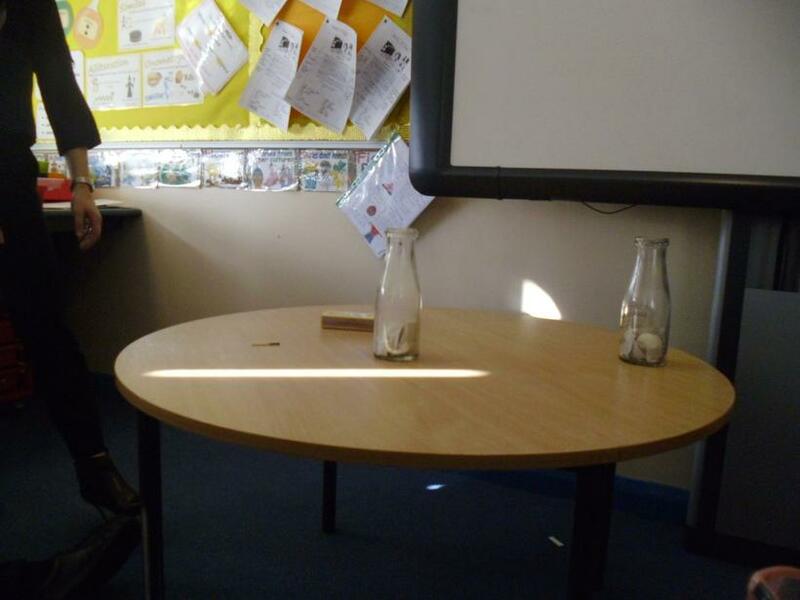 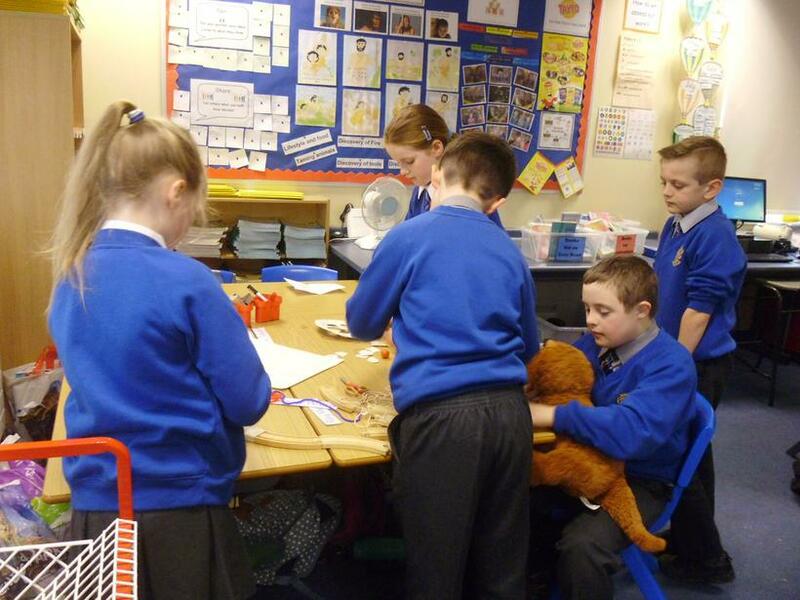 Have a look at our pictures from a busy week focusing on practical activities. 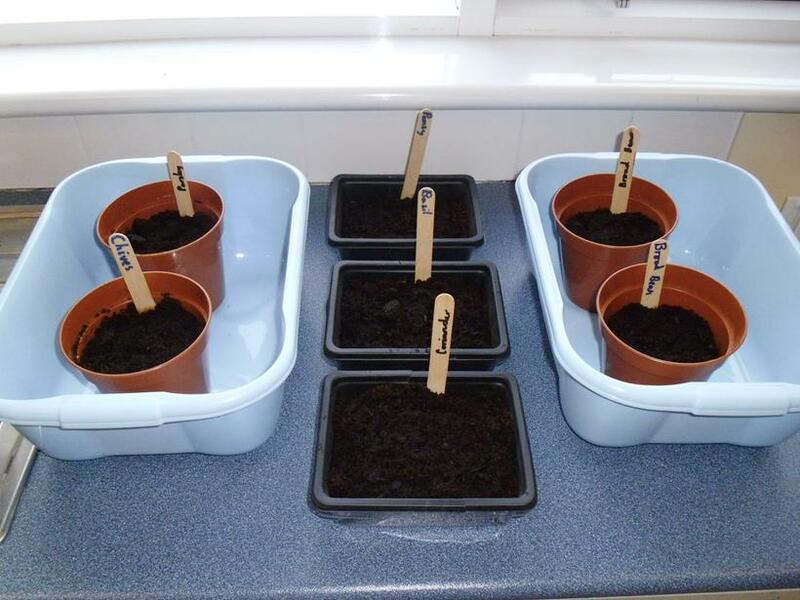 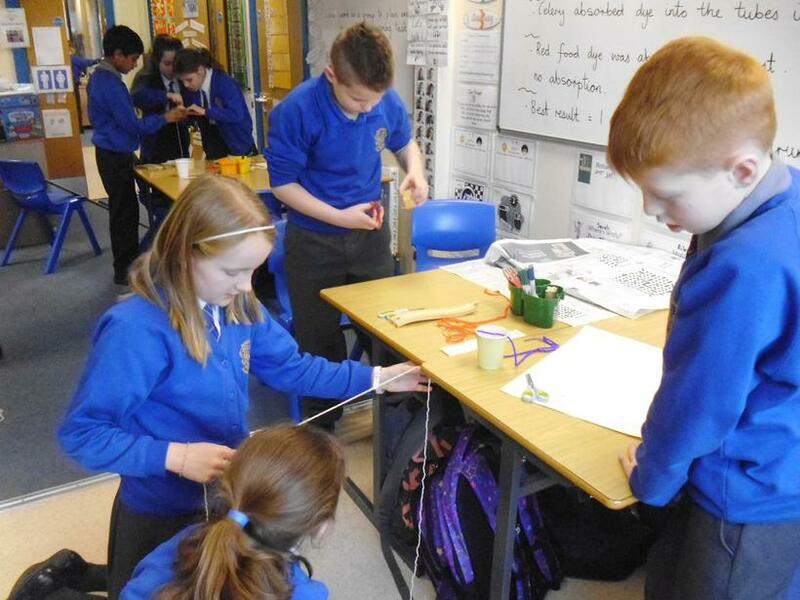 We are recording the growth rate of our classroom plants in our 'Growing Diary'. 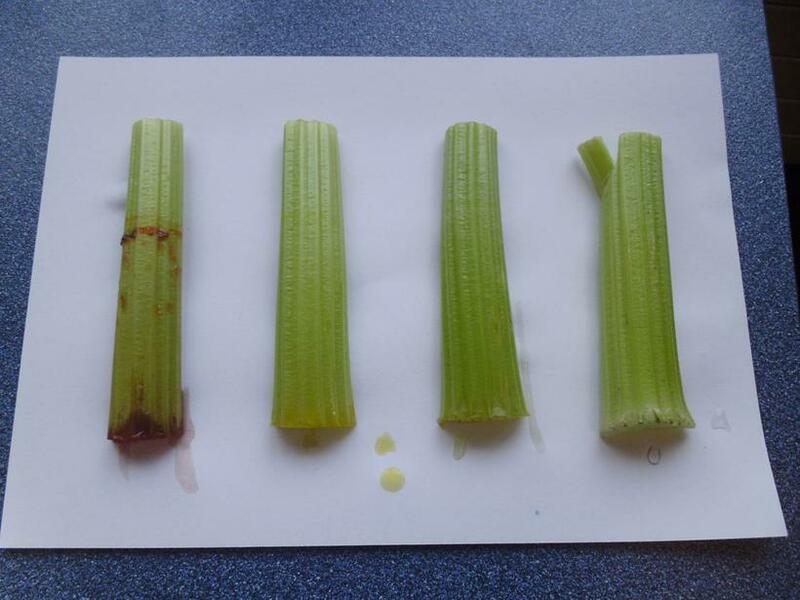 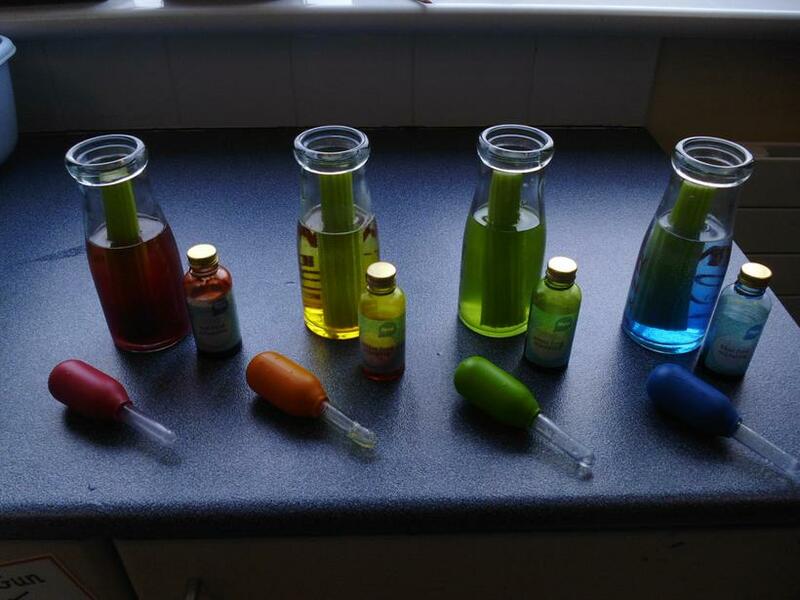 To find out how plants drink, we carried out a fair test to discover that after four days 1cm of red food dye was absorbed by a celery stem. 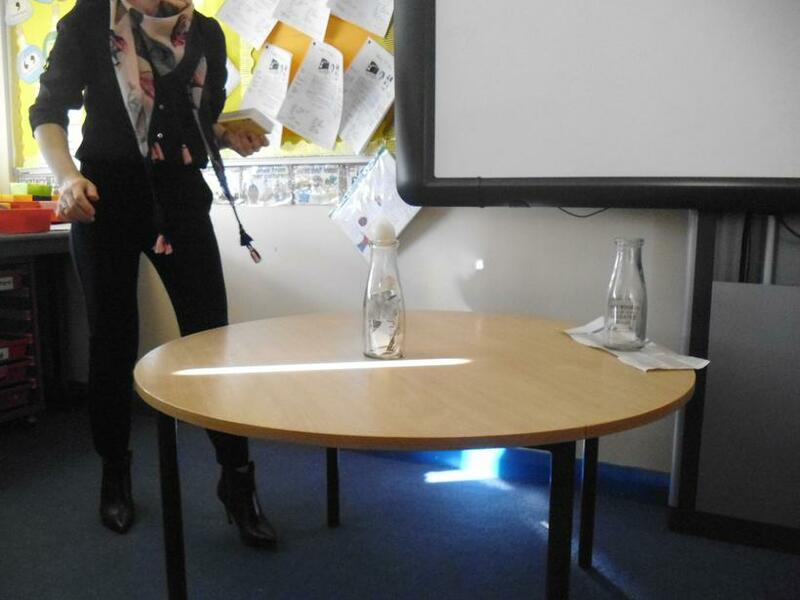 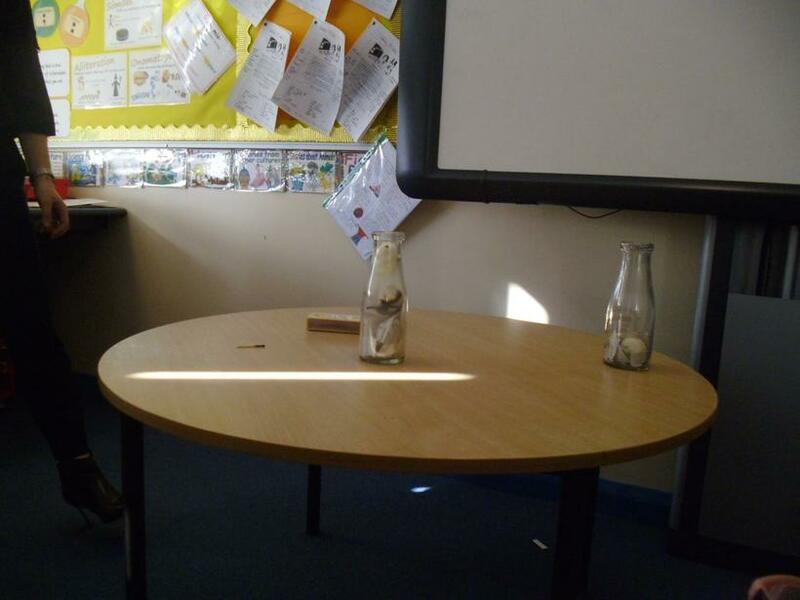 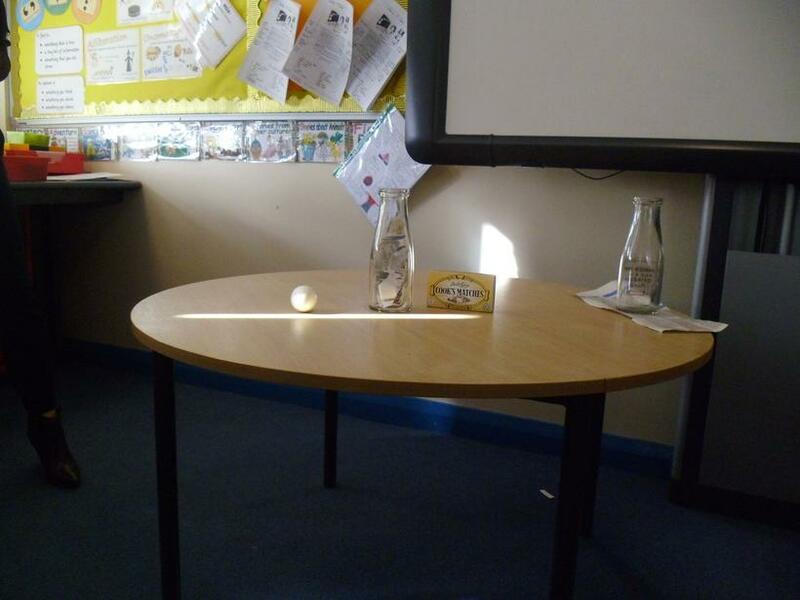 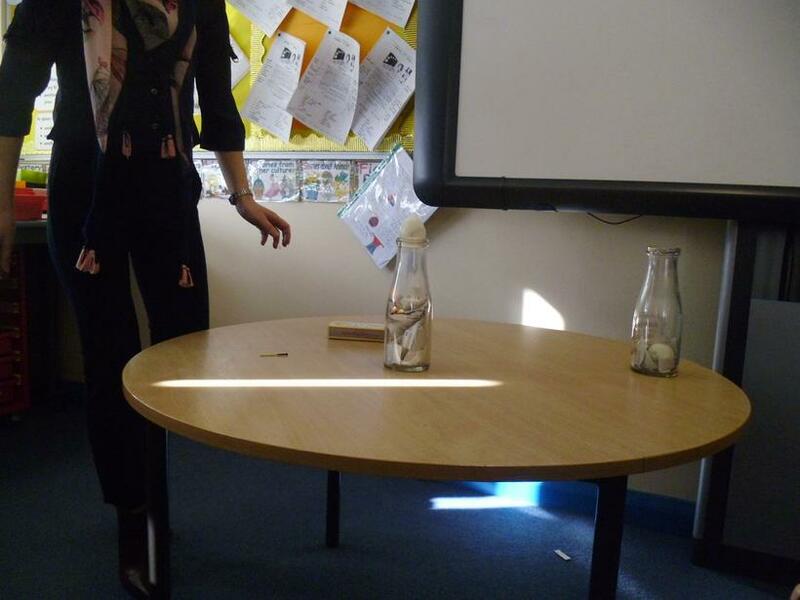 Who would have thought a hard boiled egg would end up inside a glass bottle even though the egg was bigger than the neck of the bottle! 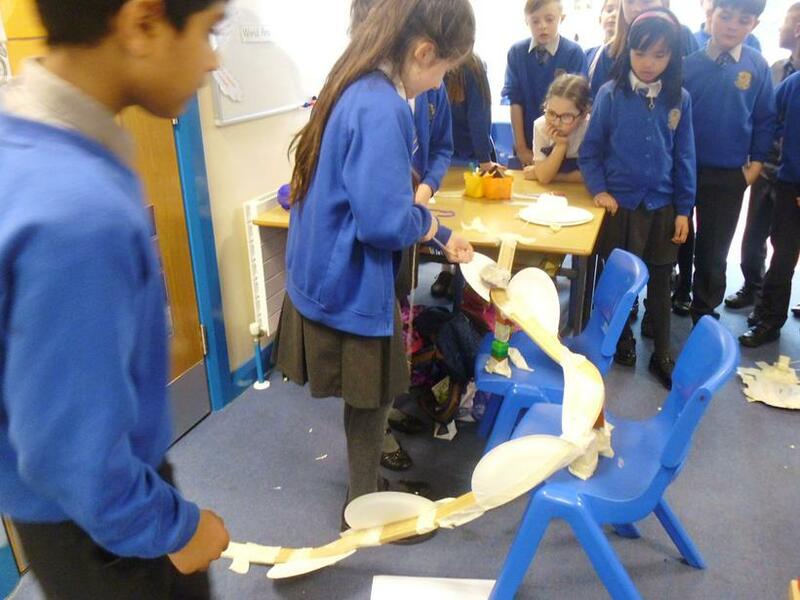 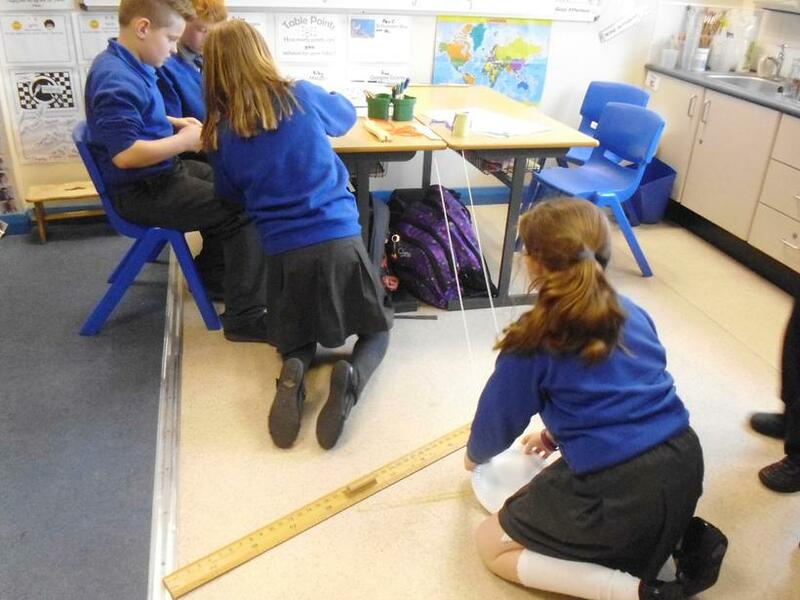 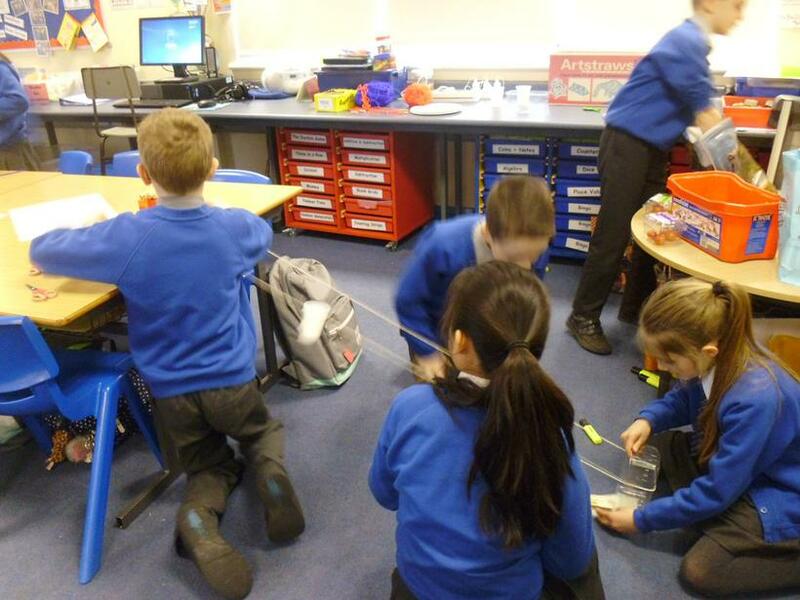 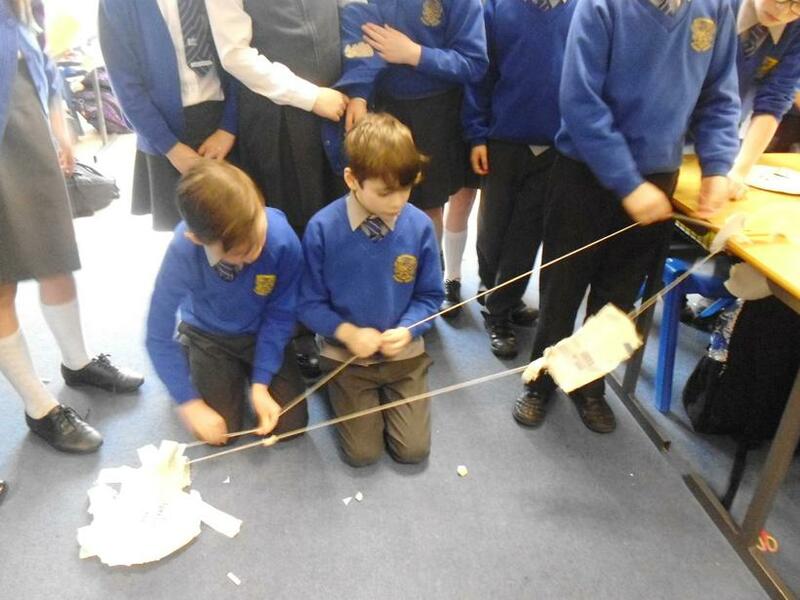 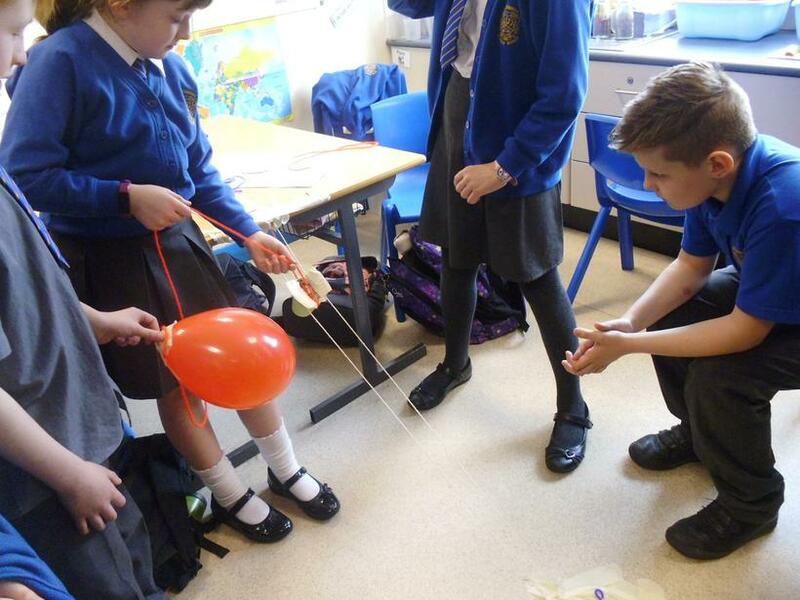 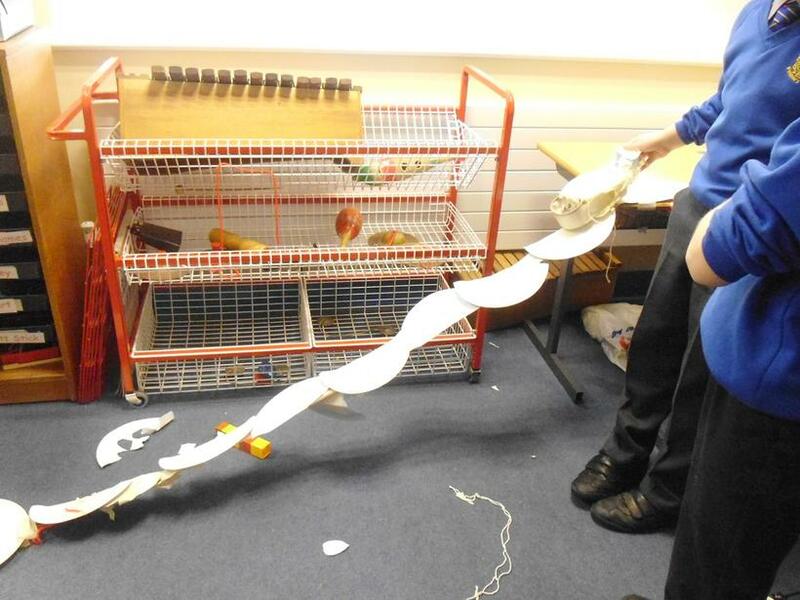 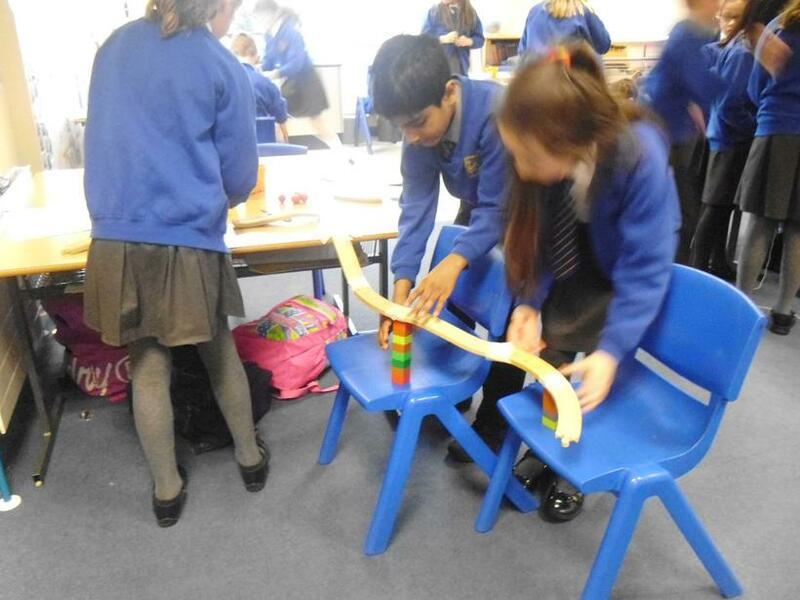 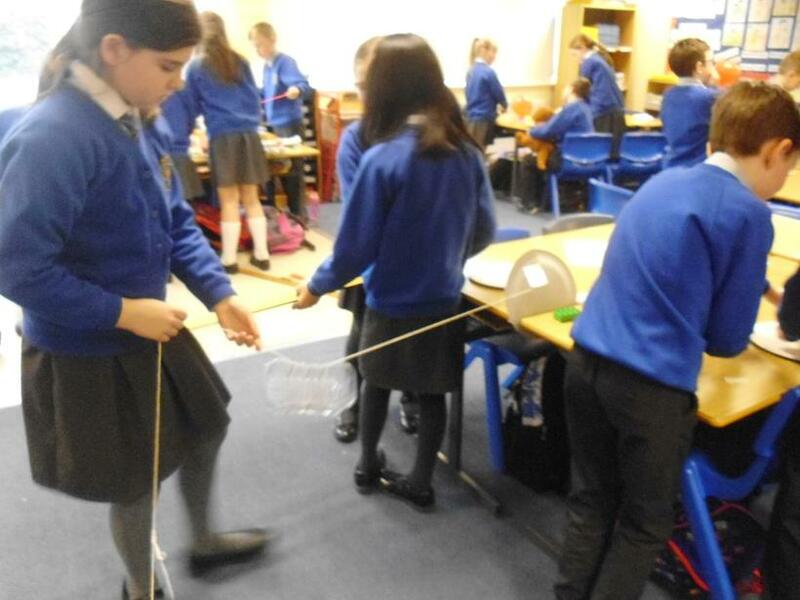 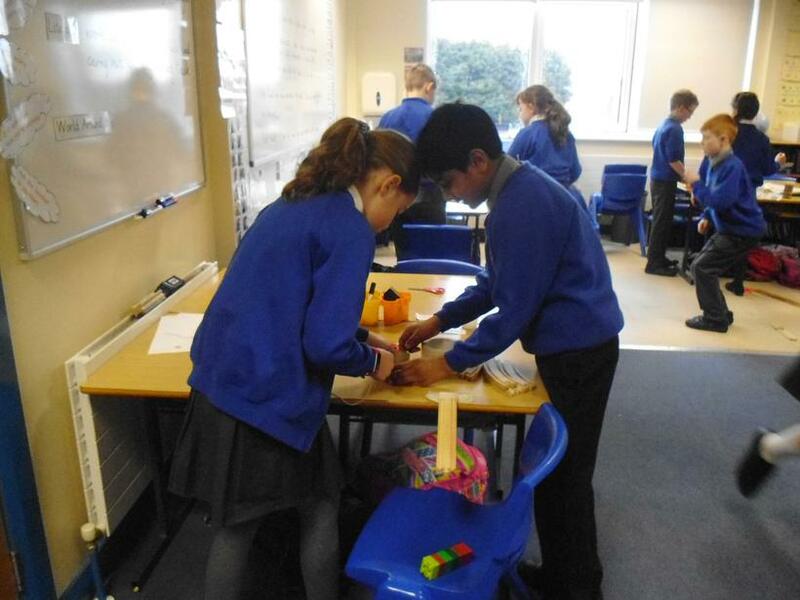 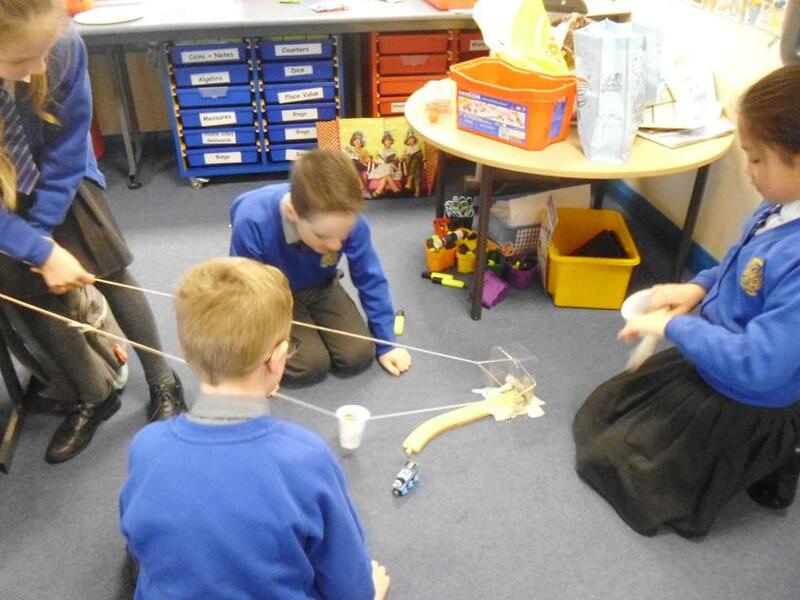 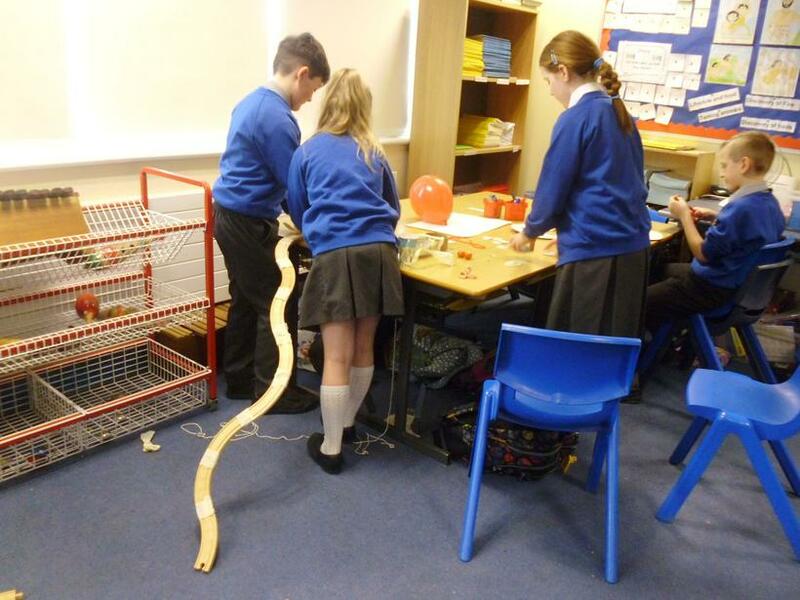 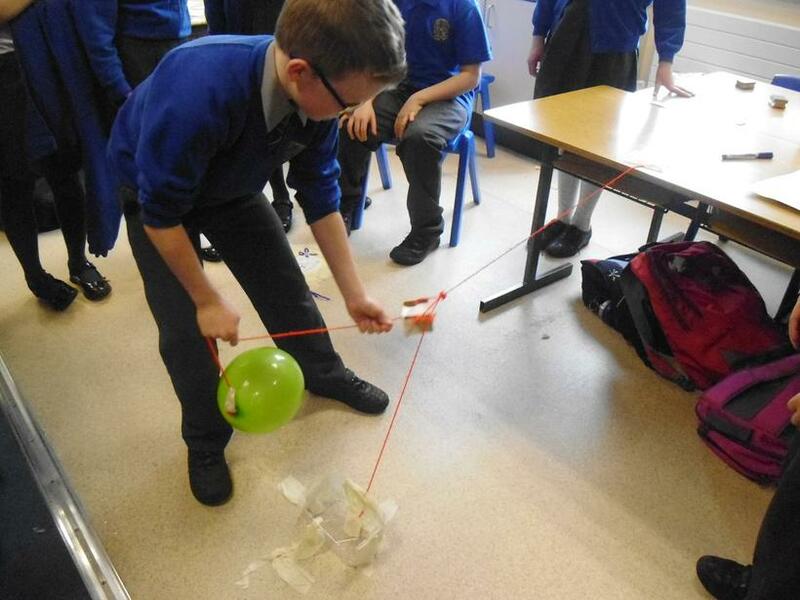 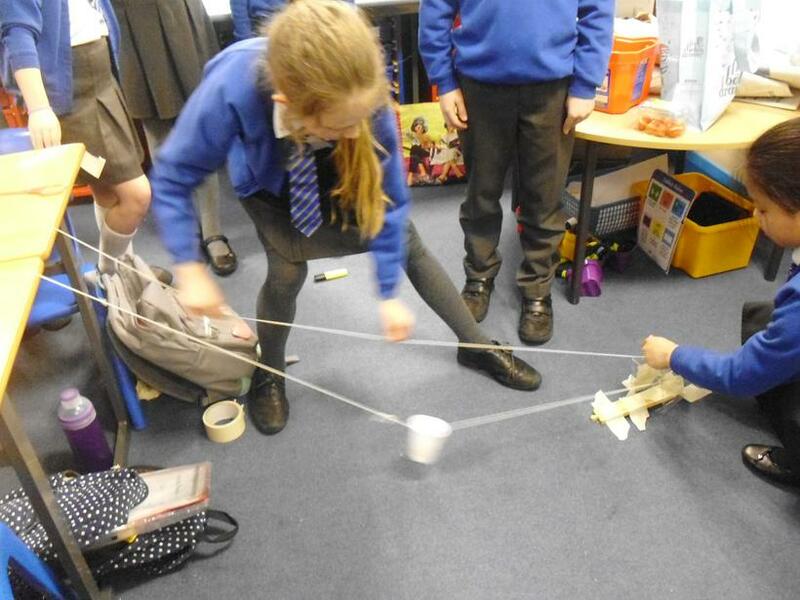 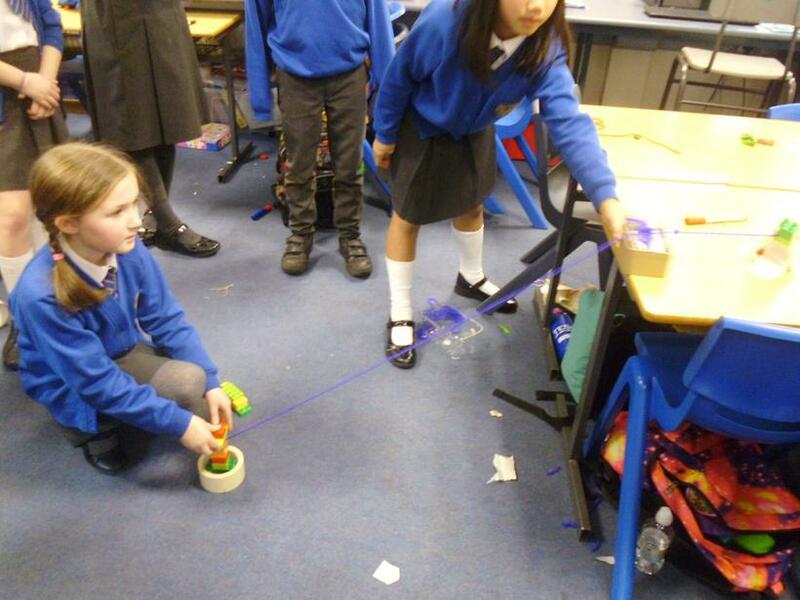 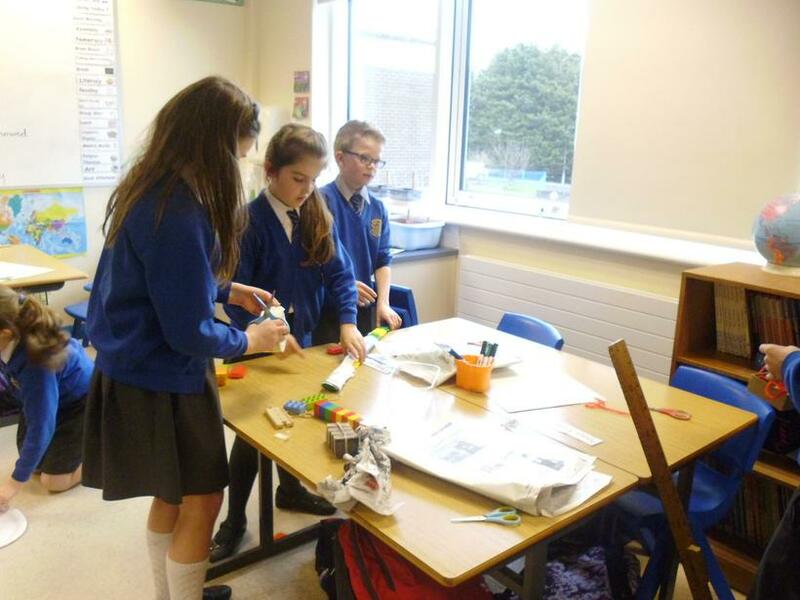 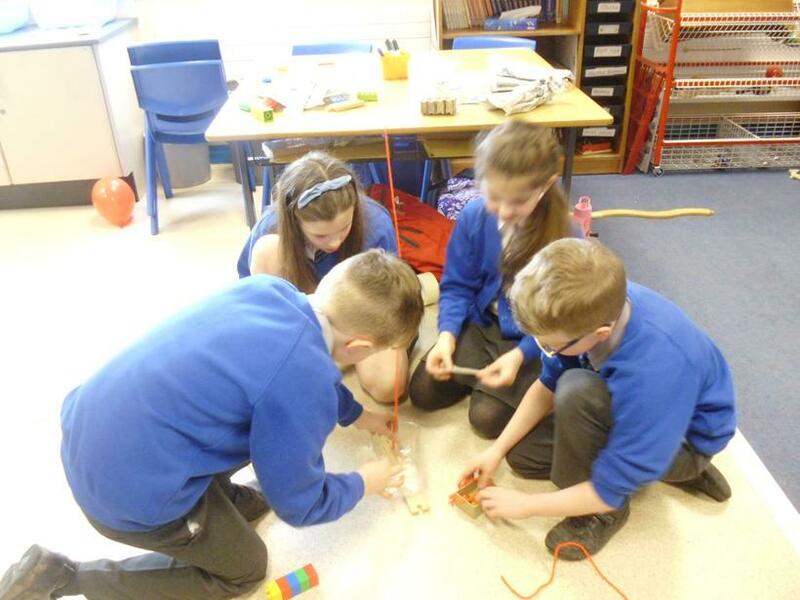 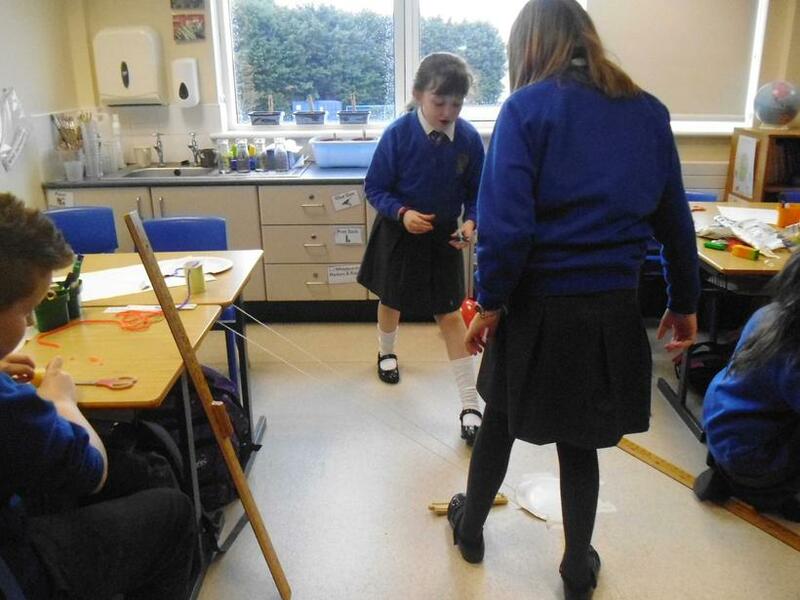 Finally, everyone worked really well in groups to design, engineer and test their 'Squashed Tomatoes' basket which had to travel 1 metre from the top of a desk in a controlled way.